6 Exercises To Stay Fit While Traveling During The Holidays! A quick workout you can do anywhere and still keep fit. Try the following 6 exercises and sample workout if you are away for the holidays. For many people, the holiday season is a time to be spent with friends and family, taking in the festivities of the season while catching up on old times. If this means traveling to a relative's place in another city for you it will mean leaving the comfortable confines of your home gym for a couple of days, which could throw off your usual training program. 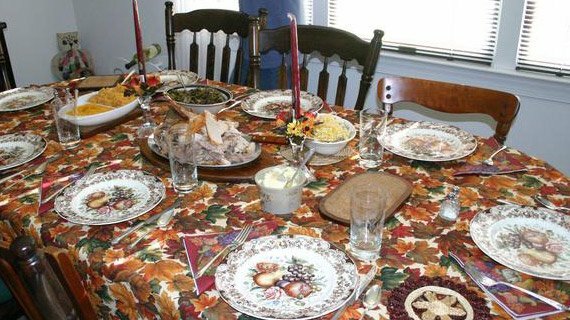 Thanksgiving brings family and friends together after relationships lapse. Cherish your time together. By putting together a quick, dumbbell based workout you can do anywhere before you leave, you will be fully prepared to maintain your fitness while you are away. This will be especially important during the holidays since many events are focused around the topic of eating, so getting in that bit of extra activity will go a long way towards helping moderate the 'damage' that's done by high calorie meals. Here are some exercises that you should consider adding to your program. 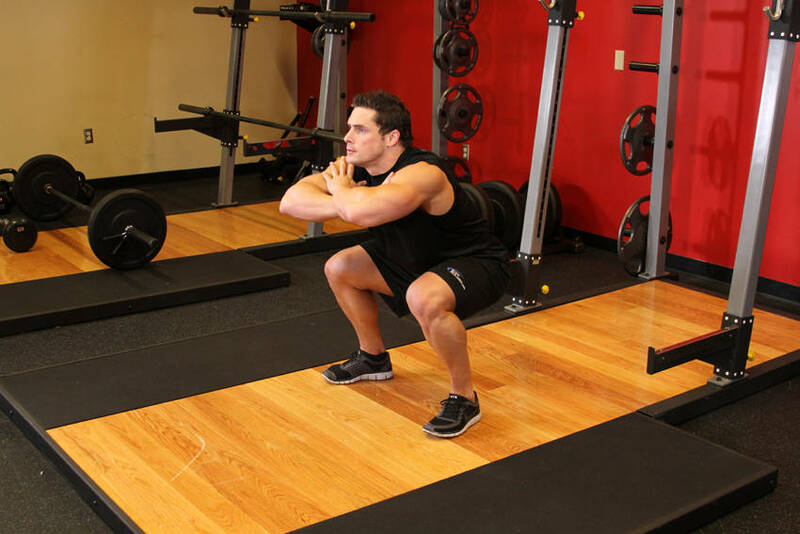 Since no workout is complete without working the legs, bodyweight squats will make a good addition to the program plan. Traditional bodyweight squats - where you move up and down, to and from the squat position - are the way most will perform this exercise, but unfortunately, for most people who have decently strong legs to begin with, these aren't going to be overly challenging. To change this, up the intensity by making them jump squats instead. This is where you will move into the squat position and rebound up and off the floor as high as possible while keeping arms crossed and parallel to the shoulders. 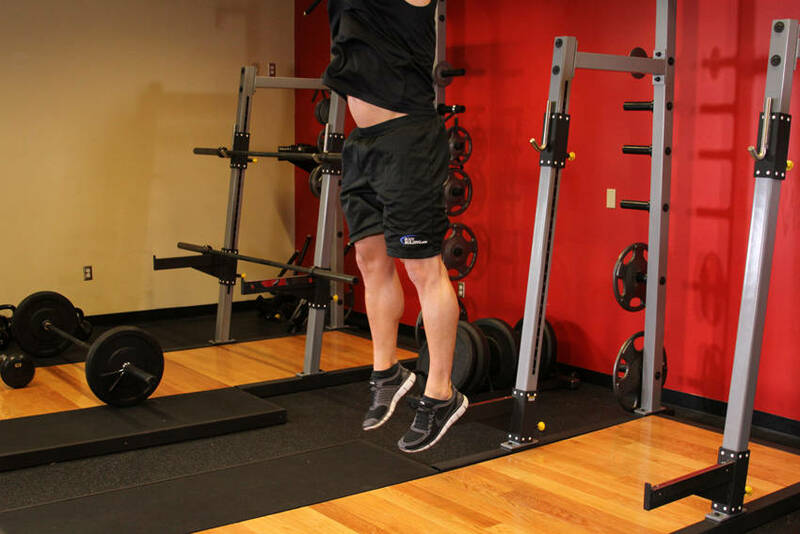 Freehand Jump Squat ... do them anywhere! If that's not challenging enough, hold a pair of dumbbells at your sides as you perform the movement. Aim to work your way up to ten reps and three sets of this exercise. 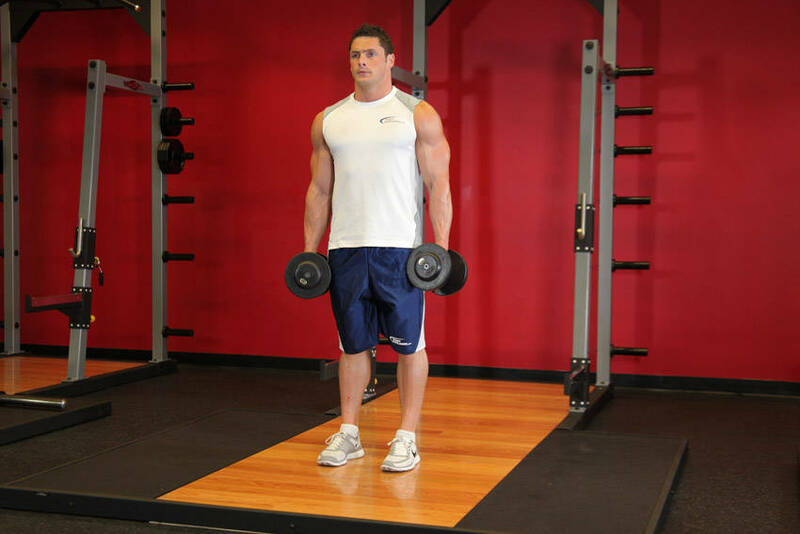 Another good exercise that you can do for the lower body is the dumbbell rear lunge. 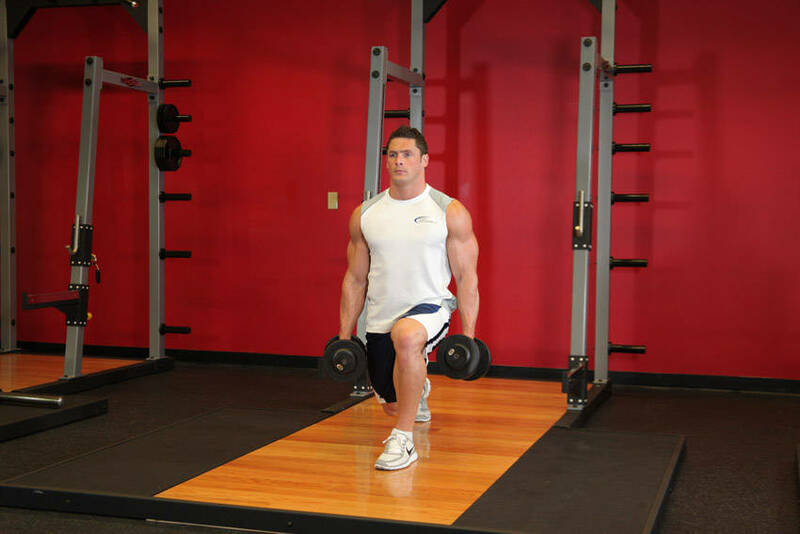 Most people will typically perform forward walking lunges, so by reversing the direction of this movement pattern your will stimulate the neuromuscular system as the body tries to maintain balance. Be sure when performing these you have a large space available so you don't lose focus and concentration from not being able to see directly behind you. Dumbbell Rear Lunge ... also works with beer cases. Additionally, just like a regular lunge you want to make sure you place the foot directly behind you so you can move in a straight path backward, rather than at an angle and risk injury. Try to perform two sets of 8-to-12 reps total. 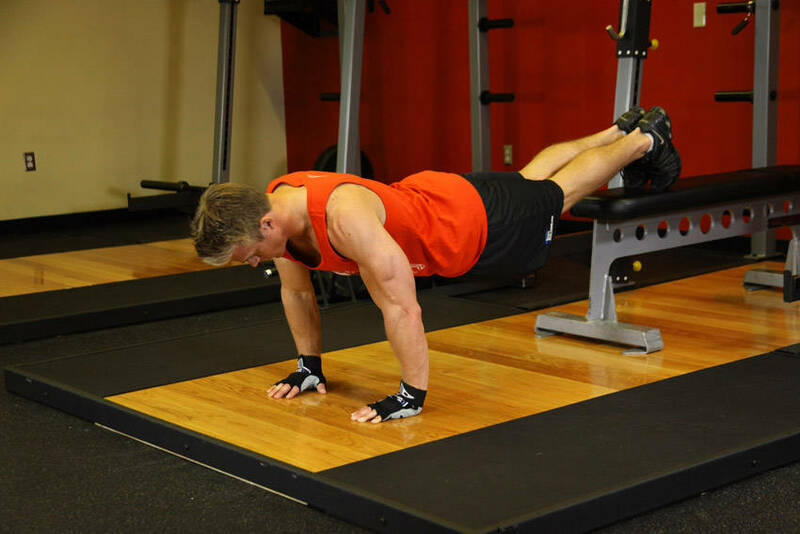 For the chest, push-ups are the most standard bodyweight exercise to perform, which again, pose the problem of not being challenging enough if you are strong in your upper body. To up the intensity, move this exercise so the feet are raised on a surface and the body is at a decline. If you do happen to have an exercise ball around, you can also place the feet on this for a real challenge and to stimulate the abs to a higher extent, but even if you don't you'll still get benefits from this movement. Push-ups with feet elevated ... on the couch, watching football. Lower the body down to the floor like you would a standard push-up, hold for a few moments, and then press up once again. Perform 2-3 sets of 10-15 reps. 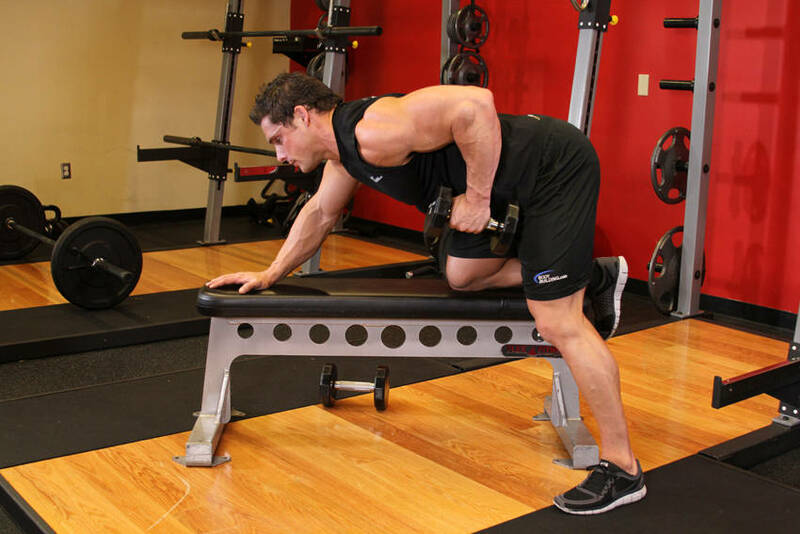 The triceps will get called into action when you perform the push-ups, but to further work this muscle you should also be sure to include a couple of sets of tricep dips. By placing both the feet and the hands up on a bench you will get the most benefits because no part of the body will be touching the floor. Bench Dips: no weights, you just need two sturdy bases to perform. Be sure when you perform the movement you maintain an upright position with the upper body, not letting yourself lean too far forward as you lower into the dip position. Try and complete twenty reps before resting and doing a second and third set. 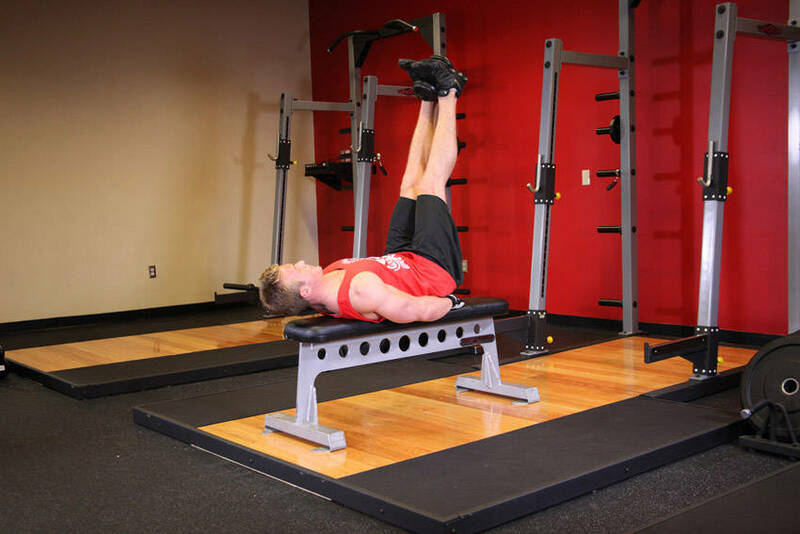 For the abs, lying leg raises will be more effective than your typical crunch and will really work those lower ab muscles, which is what most people struggle with. 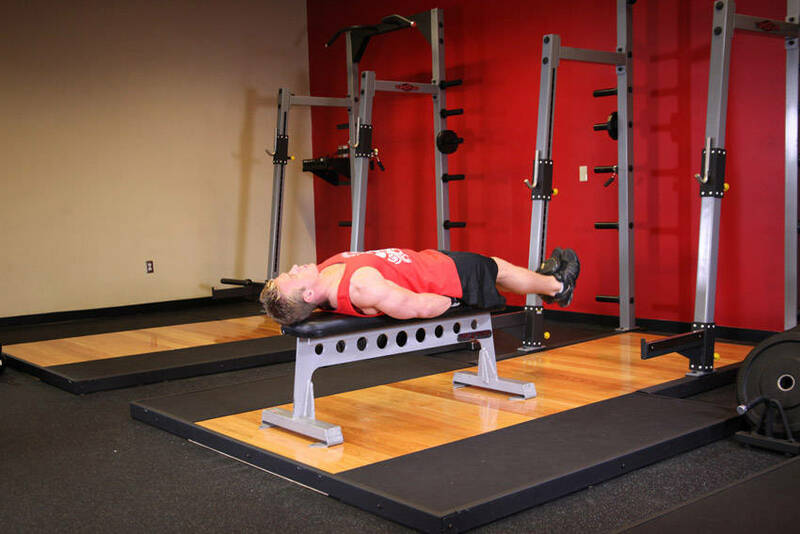 Flat bench lying leg raise: work your abs pre-turkey. 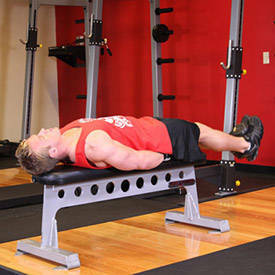 Be sure when performing these that you keep the back pressed flat into the bench to prevent lower back pain development and also avoid placing any pressure through the hands while performing the exercise or you're going to decrease the amount of tension on the abdominal muscles and lower the results you get. Complete 10-to-15 reps of this exercise, moving through two or three sets. Finally, to round out your workout you need a movement for the back and biceps to oppose the pushing movement done during the push-ups. When performing this movement focus strictly on thinking of squeezing from the working arm's shoulder blade to put as much focus on the back as possible. One-arm dumbbell row: if you don't have dumbbells, grab Aunt Mae's fruitcake; it weighs at least 25 pounds. Additionally, watch that you don't allow momentum to help you execute the lift; you should maintain the same back position throughout the whole exercise, not allowing the working side to lift up much higher than the supportive arm. Complete ten reps and then switch sides for a second set. So be sure you keep these exercises in mind this coming holiday season. Getting outside for a walk, jog or run, is also a good way to kill appetite and burn off a few extra calories so that you can indulge a bit more without seeing the consequences later on. When you go in with a plan, the chances you proceed to carry it out will be much higher than if you just try to wing it for the few days you are away from your standard gym. 8 Delicious, Physique-Friendly Holiday Recipes: Tasty And Clean To Keep You Lean! Navigating Food Choices On Thanksgiving Day! Enjoy Your Thanksgiving Feast Without Packing On The Pounds!